Finance minister Tito Mboweni has appointed a seven-member panel to interview and recommend to President Cyril Ramaphosa a shortlist of candidates for the position of commissioner of the South African Revenue Service (SARS). 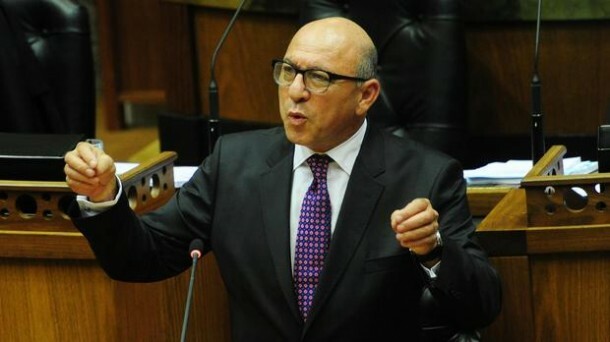 The panel will be chaired by Trevor Manuel‚ who served as finance minister from 1996 to 2009. Other members of the panel are high court judge and Competition Appeal Court president Dennis Davis‚ Eskom board member and businesswoman Sindi Mabaso-Koyana‚ National Treasury deputy director-general Ismail Momoniat‚ businesswoman Thandi Orleyn‚ former Nampak human resource group executive Fezekile Tshiqi and independent consultant Angela Bester. The panel has already commenced its work and is expected to complete the process in the next few weeks‚ the finance ministry said. The ministry said in terms of section 6 of the Sars Act‚ the president appoints the Sars commissioner. It said Mboweni was overseeing the initial steps of the appointment process and would submit the panel’s recommendations to Ramaphosa for his consideration. The ministry said the process for the appointment of Sars commissioner took into account the recommendations made by the Commission of Inquiry into Tax Administration and Governance by Sars‚ which was chaired by Judge Robert Nugent. The Nugent commission recommended the appointment of people to a selection panel who “…should be apolitical and not answerable to any constituency‚ and should be persons of high standing who are able to inspire confidence across the tax-paying spectrum”. The ministry said the commission also proposed criteria against which shortlisted candidates should be evaluated for suitability. Win with @StandardBankZA , @MpumiMbethe , and @Cheeseuhot every weekday morning. Click the pic for more info about the app.